Established in 1997, Boardwalk Timber Floors has built a sound reputation based on quality & cleanliness in the flooring industry. 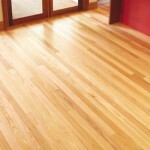 Our services include supply & lay or lay only of solid timber floors over various substrates. Together with Ultrafinish floor sanding we complete your project with a minimum of fuss. At Boardwalk Timber Floors, nothing is a problem. Give us a call for your next project. We specialise in the installation of all exterior linings. We enjoy a close relationship with James Hardie, and Mitten Vinyl and are approved installers of their products. Our range of services provide a complete lightweight cladding solution. Boardwalk Scaffold Hire is able to offer a complete scaffold service for your next new home or renovation. Our partnership with SkelScaff allows us to provide supply and erection of domestic and small commercial projects. We looked forward to coming home and seeing daily progress. Another factor was the regular meetings which ensured open communication through the building period. The project was on time, looks beautiful, was reasonable in cost and built to a standard that will ensure it looks good for years.